While sororities and fraternities sometimes get a bad reputation, it's refreshing to hear a positive Greek life story coming out of Murray State University in Kentucky. 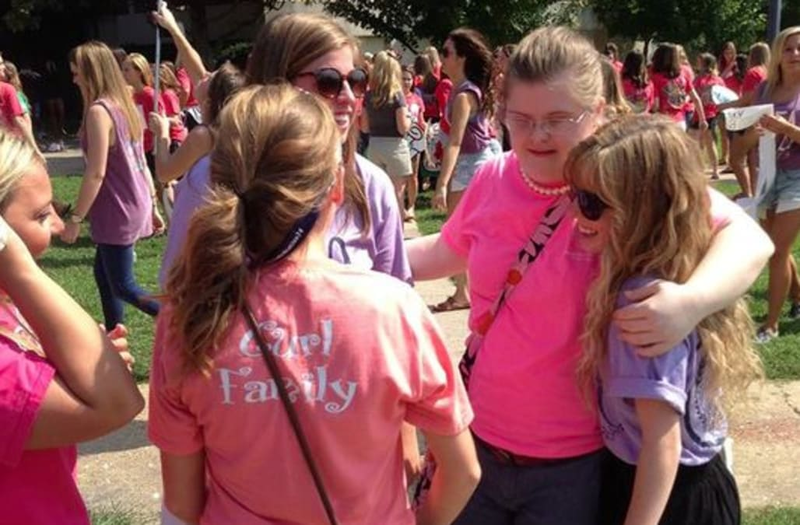 Alexis Cain is the first ever student with Down syndrome to join at sorority at MSU. Cain is part of a new program at the university called the College to Career Experience, which helps students get a college degree without a regular high school diploma. Cain is now a member of Alpha Sigma Alpha...and a proud one at that! While Cain's mother, Camme, said she was originally apprehensive about her daughter going through sorority recruitment, she's ultimately thrilled with Alexis's decision. "They weren't afraid of the unknown and the stigma that comes with having a disability." Cain hopes her daughter's story reminds readers that people "with intellectual disabilities aren't so different from 'normal people,'" as her daughter has made lifelong sisters in the Alpha Sigma Alpha sorority.